I just want to start off by saying that this synopsis does not do this book justice. It is a synopsis of the first part of the book, maybe, but there was so much more than I was expecting. What I was expecting was a loose rendition of Beauty and the Beast with other fairy-tale elements. 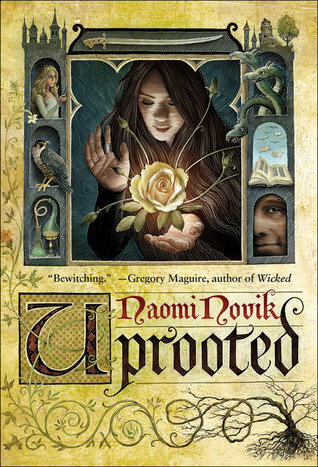 Uprooted does have a very fairy-tale feel about it, but it is a tale all of it’s own. The evil is not the dragon, the dragon does not need to be slayed. The evil is the Wood – and it is a force to be reckoned with. What I Loved: Uprooted was a long book, but I’m happy that it was just one book and not a series though. It was refreshing to get a book of this magnitude, and detail that was not broken up over 3-5 years. I do like series, but mostly I love having the complete series in my hands. I loved the Agnieszka and the Dragon dynamic. They were an unlikely pair of personalities, the kind of personalities that grate on each other’s nerves and get under each other’s skin….and yet, in the end they did get under each other’s skin. It made their relationship a fun side-story to this entire book. I am attempting to not spoil anything here, especially since the synopsis was rather vague, but let me tell you, there were a few plot twists and turns that make following this book along for it’s ride even more interesting! As I said before, it had all of the elements of a good fairy tale; the evil that lurks and terrifies the village and people, it has the knight in shining armor, the girl who’s more than she think she is. It has deception and unlikely friends. It takes you through an entire story past the point of no return and then turns around and wraps it up with a happily-ever-after. It has all of those things, but every single element is not like any fairy-tale you’ve ever read. All the roles are filled with unstereotypical players. Not So Much: First of all, I listened to this via audiobook, and I kind of had a hard time with the narrators accent. 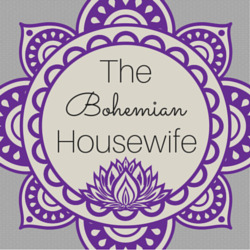 I understood it’s purpose and I think it’s possible that it was close to this narrators own accent – however some of the conversations sounded stilted or a little bit like a four-year-old attempting full sentences. It was just a little rough for me. I did, however, stop hearing that so much the more I got into the story and the plot took over my concentration. There were parts of Uprooted where the story did feel like it was getting long. I don’t know that it could have been cut or edited without loosing some important elements though. I just had periods of wishing the story would move forward a bit more quickly than it was. I really enjoyed this book. It had a lot of the elements that I love in a good book, and it had a satisfying ending. Due to one scene in this book, I cannot consider this a “clean” novel, though it is categorized as Young Adult. The one scene was rather graphic, and I can’t recommend this book for young teens at all – but had it been left out it would have been perfect. I love the synopsis. Sounds like a good book. I've been on hold for this book at my library for a thousand years.